The map above displays the 25 mile radius as a white circle and our local delivery rates apply to addresses within this circle. This includes all postcode areas colour coded in green and the yellow areas inside of the white circle. Download a large PDF version of our Local Delivery map. We can also offer crane lift delivery to the postcode areas that are colour coded in yellow outside of the 25 mile radius, however the delivery rates and timescales may vary. If you would like to arrange crane lift delivery to a postcode area highlighted in yellow outside of the 25 mile radius please call us on 01440 966966 or email sales@fieldcompost.co.uk. 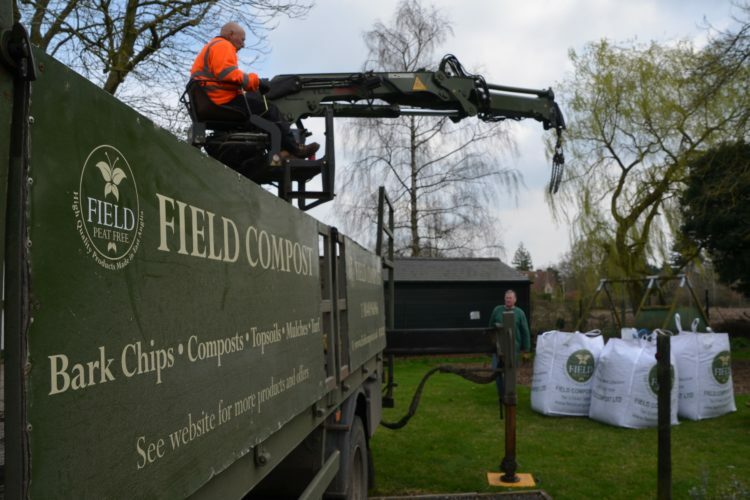 Our Field Compost delivery drivers are always polite, friendly and will try and place your bulk bags in a location that suits you. Subject to access and crane reach (see below) we can lift bags over low walls and fences to get the product nearer to the location you want to use them. Again subject to access and crane reach we can hold bags over planting areas and raised beds whilst our driver cuts the bottom of the bag to unload the contents. This can save lots of work in shovelling and wheel barrowing the contents of the bag. 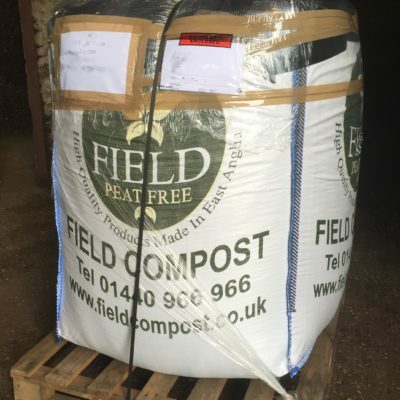 Although our Field Compost delivery drivers will always try their best to place the bags / pallets in the location you request, a numbers of restrictions apply. Access is restricted to gateways and tracks a minimum of 2.5m wide. Access is restricted to firm ground, tarmac or concrete capable of supporting a 7.5T lorry. Access is restricted to height barriers or overhanging trees/cables no less than 3.5m high. The reach of our crane lift lorries normally extends to 3m of the kerbside, although this may be slightly more if the item is light enough or slightly less if very heavy. The crane lift can’t be operated under power lines or low hanging trees. If you are unsure about delivery access please contact us before placing an order as additional costs may be incurred, see our terms and conditions of sale for more information. 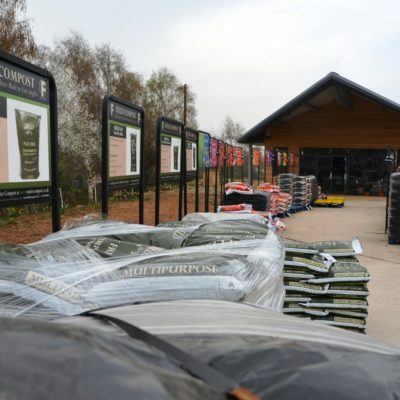 If you are unsure about your product delivery requirements, please give us a call on 01440 966966 or email us sales@fieldcompost.co.uk and we’ll be happy to help. Many thanks for fitting in the delivery to our daughter in Sudbury yesterday at short notice. The top soil has a lovely texture and seems to have a high organic content – great product. Our daughter said your delivery driver was very friendly and helpful in dropping the bulk sack in the perfect location for her. All in all great service and many thanks.